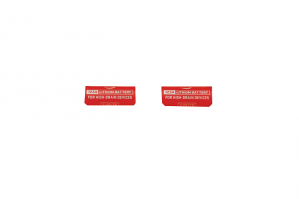 The Laser Ammo GLOCK 17R Laser Cartridge Kit, is a 9mm Red Visible SureStrikeTM Laser Cartridge with a dedicated vibration- pad activation cap that will emit a laser pulse with each trigger pull. The SureStrikeTM turns your Glock 17R from a non-functioning scale model of the Glock 17 into a functioning training device. 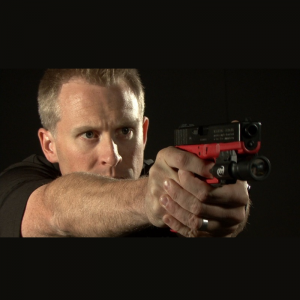 This simple device enables an agency to use their “red” GLOCKS to safely and practically train with an integrated red or IR laser. Perfect when combined with one of Laser Ammo’s reactive targets or Smokeless Range® marksmanship and judgmental shooting simulator. The Laser Ammo GLOCK 17R Laser Cartridge Kit, is a 9mm Infrared Invisible SureStrike Laser Cartridge with a dedicated vibration / pad activation cap that will emit a laser pulse with each trigger pull. 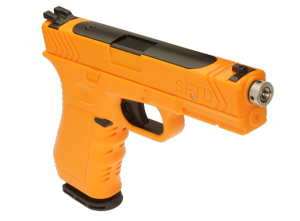 The SureStrike turns your Glock 17R from a non-functioning scale model of the Glock 17 into a functioning training device. 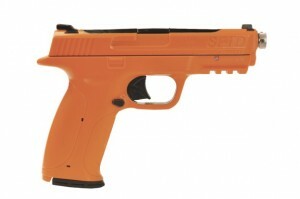 This simple device enables an agency to use their “red” GLOCKS to safely and practically train with an integrated IR laser. Perfect when combined with Laser Ammo’s interactive targets or the Smokeless Range® marksmanship and judgmental shooting simulator. The Advanced Training Laser Pistol Model SF25 (Smith Weston M&P compatible and fits in most Sig Sauer P320 holsters) is revolutionary designed to teach proper firearms handling skills and make negligent discharges a thing of the past. The pistol uses a patented sensor design that detects even the slightest intrusion into the trigger guard setting off an alarm, warning the shooter about a potential discharge for training purposes. The device distinguishes between deliberate actions and unintentional incursion(s) into the trigger guard. 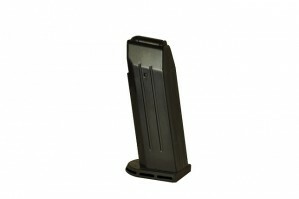 The weighted magazine will allow you to practice magazine changing and tactical drills using the Pro Laser Training Pistol!